The last animal pattern modification was a success and we were asked to do more. This time we are engraving a giraffe pattern onto the Kersahw Leek model 1660OR. 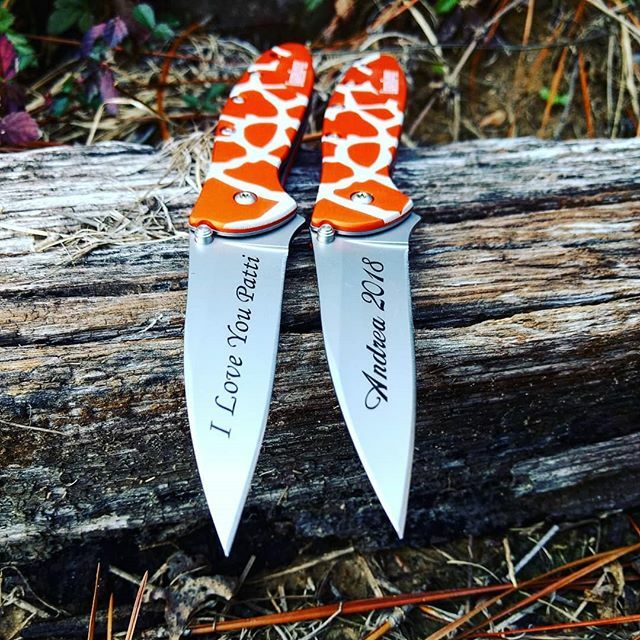 The knife is sent through our laser engraving machine and a giraffe pattern is emblazoned onto the anodized aluminum handle. 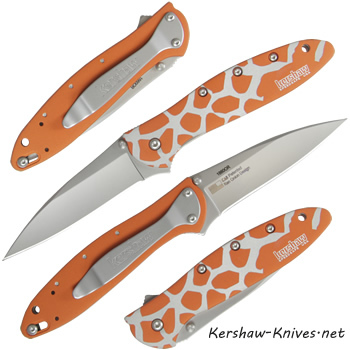 The pattern of the giraffe is much larger than the handle itself so the position of the knife in the laser chamber lends itself to randomness, which makes each one of these knife modifications slightly different than the others. 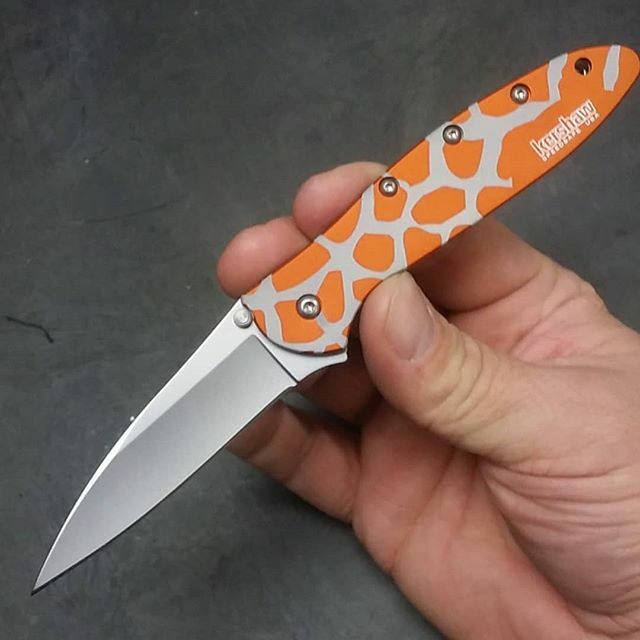 The Kershaw Leek is made in USA, and the modification is done right here at our facility in Louisiana.